Spanning half of the fourth floor of the boutique Dundrenan complex, this residence captures expansive river views from all living areas and the master bedroom due to its wide frontage. Encompassing a north-east facing layout, there is no compromise on space and comfort offered by this four bedroom residence. Designed for spectacular living with the highly sought-after lifestyle to match, the generously sized floor plan comprises multizone living areas dressed in neutral interiors running parallel to the riverscape outside. The entrance brings you to your own entry foyer, complete with storage, through to the open plan living and dining area, which captures immediate river views and opens further out to a private wraparound balcony. The adjacent kitchen and family area benefits from internal sliding doors, allowing seamless interaction or intimate privacy when required. Catering for any occasion, the gourmet kitchen is equipped with granite benchtops, ample storage and preparation spaces, finished with quality Miele appliances. A spacious breakfast bar ensures easy socialisation for the entire family within this culinary area. Taking advantage of its river frontage with Story Bridge views, the kitchen and family zone also access the balcony, and is ideal for fantastic indoor and outdoor entertaining. This covered entertaining area allows you to host guests year round while enjoying the flowing river backdrop and refreshing breezes. Retreating to the master suite, this spacious bedroom includes a walk-in robe and generously sized ensuite with double vanity and separate toilet. Opening out to a private balcony which also captures those glimmering river outlooks, from the Norman Park reach, across to New Farm and up to the Story Bridge. Three additional bedrooms each with built-in robes, enjoy access to a shared balcony and are within easy reach to a centrally located bathroom. A separate powder room is also close by for easy access for guests. 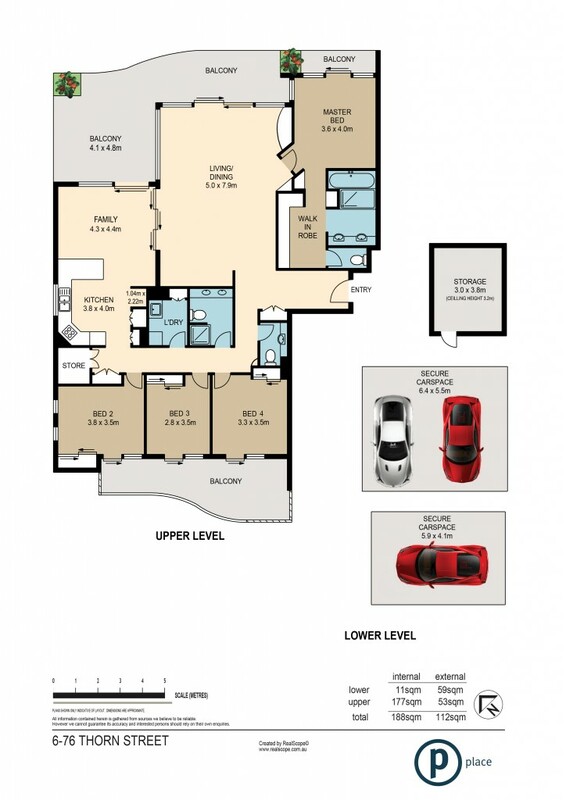 A rare three car garage and huge storage room complete this apartment. Offering a remarkable lifestyle that only a few will be lucky enough to experience, the complex offers exclusive features such as a private riverside lap pool, gym and a shared pontoon. Located within walking distance to a range of public transport options including Mowbray CityCat terminal, within 5 minutes to the Brisbane CBD, less than 15 minutes to the Brisbane International airport and easy access via the tunnel either north or south, this is a truly unique opportunity to secure a breathtaking riverfront property.